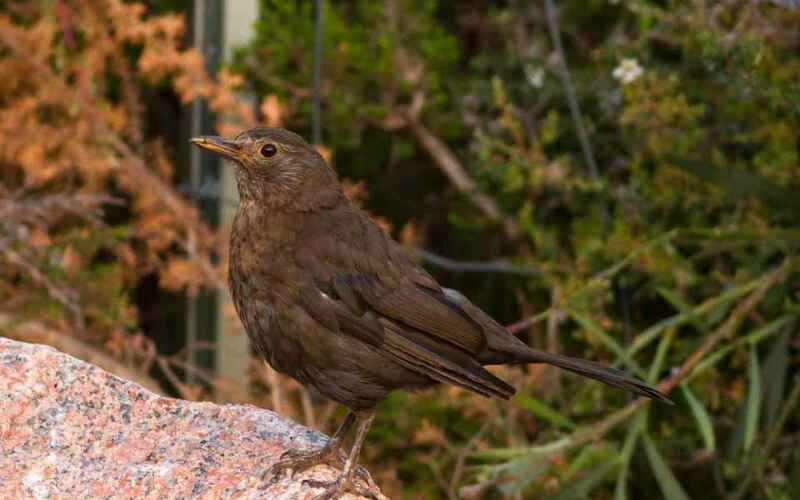 The Common Blackbird is so, well, common, that people tend not to notice it at all, (just as they failed to notice House Sparrows when they used to be common), but it is a beautiful species even if its plumage is primarily dark in both sexes. 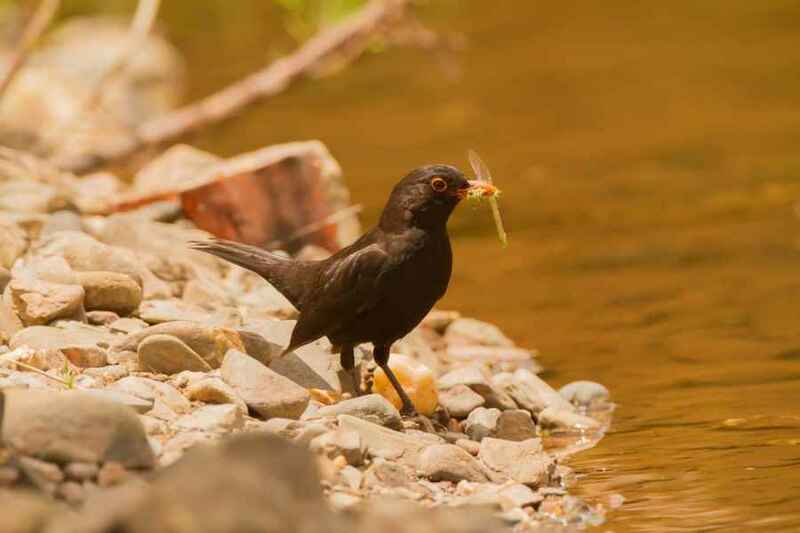 The male is jet black all over and the female is dark brown, but the male has a bright orange beak which tends to denote not only health but also locality. 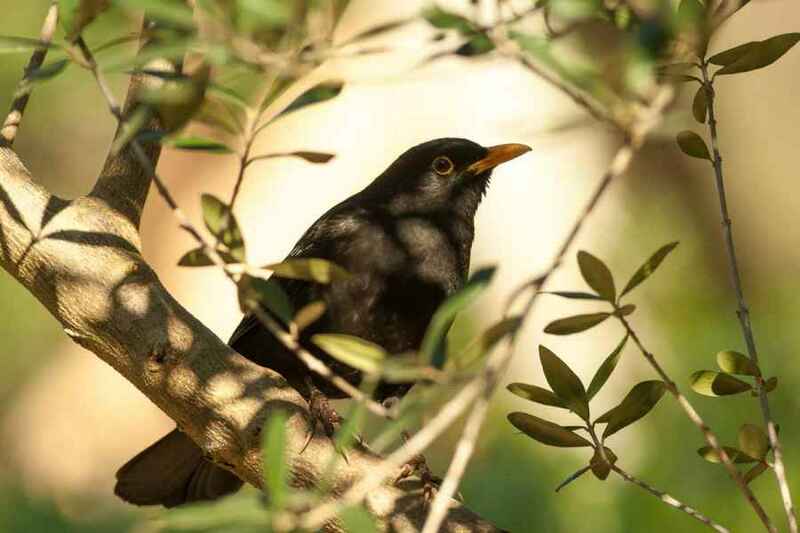 Here in Portugal the species is territorial throughout the year, though population density is high. 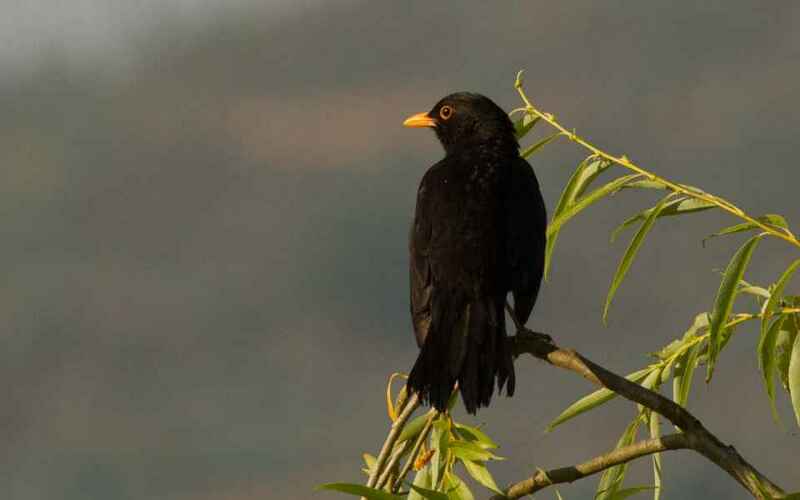 There is a movement of birds into our area from farther north during the autumn and winter and this is not unknown behaviour as Blackbirds migrate within their range farther north also; it is recorded that a certain Blackbird spends its summer every year in Thetford in the UK and its winter in Devon, a couple of hundred miles away, and it is well known that Scandinavian Blackbirds regularly over-winter in the UK and farther south.